We hope you enjoy this guided relaxation. Called yoga nidra, this process clears the mind and refreshes the body by giving deep rest to the system. The process takes about 20 minutes from start to finish. This process is good to do when you need to relax or after yoga practice. Yoga nidra gives deep rest to the body. At the same time, the mind comes into a meditative, clear state very naturally. Done lying down, this process is very restorative. 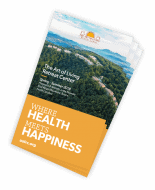 “When I first tried this during an Art of Living Happiness Program, I was amazed at the clarity of mind I felt. Also, my body felt so light! I was living an active college lifestyle with plenty of exercise, but I discovered a new feeling of freedom and lightness with Yoga Nidra.” – Sean K.